Located in Mohave County, Arizona, United States. According to 2010 census, the population of the town is 52,527. It is served by Lake Havasu City Airport. Lake Havasu City is geographically isolated from the other cities in Mohave County and is the southernmost community of Greater Las Vegas. London Bridge is a bridge in Lake Havasu City, Arizona. It is a relocated 1831 bridge that formerly spanned the River Thames in London, England, until it was dismantled in 1967. Lake Havasu is a large reservoir behind Parker Dam on the Colorado River, on the border between California and Arizona. Lake Havasu City sits on the lake's eastern shore. The lake has a capacity of 648,000 acre feet. Recently, I was able to kayak about 40 miles (64km) up and down a beautiful section of the river known as Topock Gorge. 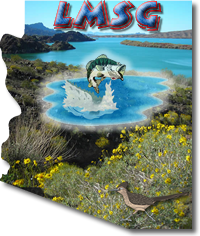 Lake Havasu is best known for its striped bass, largemouth bass and smallmouth bass fishing. It also has good fishing for channel catfish, flathead catfish, and sunfish, including some monster redear sunfish. There are also abundant carp and limited numbers of crappie. The Parker Strip provides an abundance of recreation activities including camping, swimming, boating, fishing, rock hounding, hiking, OHV play areas, and wildlife viewing. Topock Gorge is a mountainous canyon and gorge section of the Colorado River located between Interstate 40 and Lake Havasu. 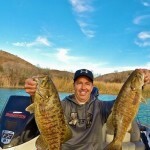 Comprehensive community/user supported fishing and recreation guide to Lake Havasu Arizona. 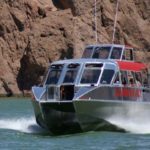 Fishing, boating, camping, water sports, lodging, dining and recreation information and reviews submitted by visitors to Lake Havasu. Submit your fishing reports, news, reviews, classified ads, fishing tournament results and schedules, recommendations and comments. The Largemouth Bass population is sufficient to support bass fishing tournaments nearly every weekend during winter months. The average size of the Bass is about 2 lbs. but fish from 4.5 to 5.5 lbs. are not uncommon. 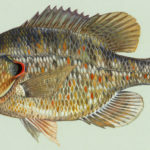 The Bass population seems to be increasing, due to catch-and-release angling, an increase in aquatic vegetation, introduction of man-made habitat, abundant forage, and care of tournament caught fish. White sturgeon were stocked in Lake Havasu in 1967 and 1968 from stock obtained from San Pablo Bay, California. 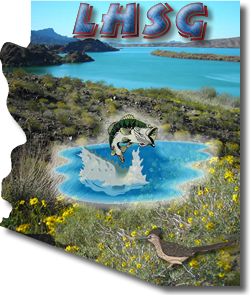 While some dead sturgeon were found downstream from Havasu (probably killed during passage over dams), living fish have not been recorded, but may still exist along the southern end of Lake Havasu near Parker Dam. Sturgeon have been known to grow upwards of 20 feet (6 meters) and can live in excess of 100 years and many in and around Lake Havasu continue in their efforts to catch a glimpse of the majestic animal. 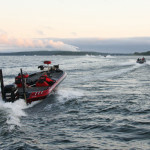 Fishing is a popular recreational activity on the reservoir, which contains striped bass, white bass, largemouth bass, smallmouth bass, crappie, walleye and catfish.